Latest Products offers a complete line of polymer bulk linen trucks to suit all your transport needs. Our trucks come in different sizes and different capacities. Choose from our Virgin polymer with choice of 17 different colors, or our Recycled polymer (no color choice) for cost savings. 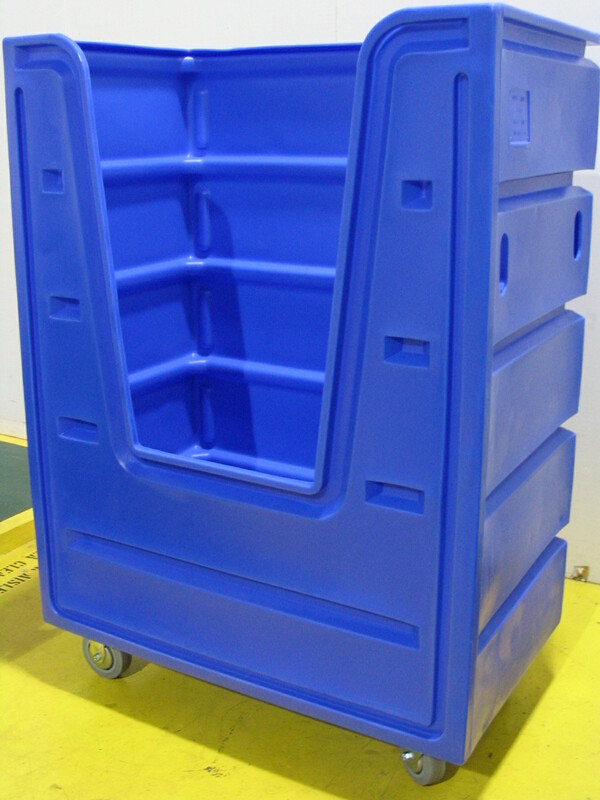 Standard base is made of hard plastic which protects against corrosion and harsh chemical agents. Powder coated steel base come standard on some models or may be substituted for plastic (additional charge may apply). 6 inch rubber casters come standard in choice of arrangement available. When ordering please specify if you want hand holes and/or drain holes (no extra cost). Drain valves instead of drain holes available on some models for $15.00 additional per cart .